Man and animals live together since the domestication of a number of animals many thousand years ago. Through the ages they often got along quite well, but sometimes man needed the law to deal with the unexpected behaviour of animals. The company and companionship between women, men and animals is not completely harmless or effortless. Relationships ranged and range today from animal worship and sometimes almost human care for pets at one end to harsh treatment as mere objects and outright systematic cruelty, serving mankind in the end as food, provider of skins, cruel entertainment and other goals. In a conference on Das Tier in der Rechtsgeschichte [Animals in legal history] at Heidelberg from April 2 to 4, 2014, legal historians and other scholars will discuss several aspects of animal and human life and the interaction between them. The program of the conference at Heidelberg has been created in cooperation with the commission for the Deutsches Rechtswörterbuch. In this post I will look at some aspects of the interaction between animal history and legal history. This is an occasion, too, to look at the Deutsches Rechtswörterbuch, one of the typical German dictionary projects. Animals are no aliens in legal history. Especially in German legal history animals come into view already early. I invite you to look for example at images from medieval bestiaries in Bestiaire du Moyen Âge, a virtual exhibition of the Bibliothèque nationale de France (interface French, English and Spanish), They are portrayed in various ways in the famous illuminated manuscripts of Eike von Repgow’s Sachsenspiegel. In April Dietlinde Munzel-Everling will discuss the animals in the Sachsenspiegel. Jacob Grimm, one of the pioneers of German academic legal history did not only study and publish versions of the medieval animal epic about the fox Renard in his Reinhart Fuchs (Berlin 1834). In an earlier post here I looked in more depth at the various versions of this much liked medieval story. His explanation of German words in his Deutsche Grammatik (first edition Göttingen 1819) often included historical explanations. The word vogelfrei, meaning literally and originally “free as a bird”, was in the context of exiled people and victims of execution who were denied a funeral narrowed to “delivered to the birds”. No doubt Grimm will figure in the contribution of Michael Frosser-Schell on animals in his edition of the Weisthümer (6 vol., Göttingen 1840-1878). At the conference in Heidelberg a physician and a theologian will help looking at animals and legal history from different academic disciplines. Wolfgang Eckhart will look at relations between humans and animals from a cultural and medieval perspective. Martin Jung will look at animals in early French protestant theology. Apart from a section on animals in some selected legal sources the conference has sections on animals in public and private law, both in towns and rural areas, animals and their roles in criminal law, animals and law in art and language, and finally a section looking at animals in Spanish law (Marita Giménes-Candela) and animals in the German and French Enlightenment (Ulrich Kronauer). In this last contribution the change in views about the maltreatment of animals will be discussed. Legal procedure is a subject in the contribution of Inge Kroppenberg about the damnatio ad bestias in Roman law. Peter Dinzelbacher, too, will look at Tierprozesse, criminal procedures against animals. The hanging of dogs is the theme of Stephan Meder’s contribution. Hopefully they pay due respect to the classic study The criminal prosecution and capital punishment of animals by Edward Payson Evans (London 1906; reprint London 1987), but follow also the example of historians such as Esther Cohen to look beyond cases to their context and to patterns of argumentation. For studies about animal behavior and views about animals it is worth looking at the Animal Studies Bibliography created at Michigan State University. The College of Law at this university is home to the Animal Legal & Historical Center where you can conveniently search for specific historical cases and subjects, broader themes and jurisdictions. In the second part of this post the Deutsches Rechtswörterbuch (DRW) takes pride of place. German scholars have a fine tradition of creating and editing dictionaries, with without any doubt the Deutsches Wörterbuch started by Wilhelm and Jacob Grimm as one of its major feats. The long time it takes to create such dictionaries is almost proverbial for the tenacity of German scholarship. A second association with these enterprises are the efforts of the various German learned academies. Not only academies with a budget for these projects, but also scholarly teams have the courage to start them, for example the team of 400 scholars behind the second edition of the Handwörterbuch zur deutschen Rechtsgeschichte (HRG). The online version of the HRG gives you free access to the list of entries and keywords, some examples and to excerpts of the other articles. Paid subscription is necessary for full access to the complete online version, but you can buy PDF’s of separate articles. The project for the DRW was started in 1897 by the Prussian Academy of Sciences. Since 1959 the Heidelberger Akademie der Wissenschaften leads and finances the project. 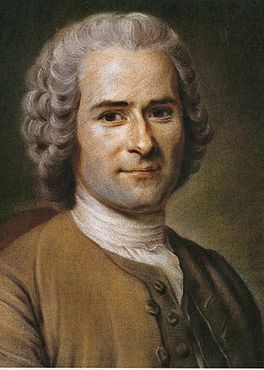 This academy supports also the Dictionnaire Étymologique de l’Ancien Français. The idea for a dictionary of the German legal language comes from the philosopher Gottfried Wilhelm Leibniz. On the website of the DRW you can view the original printed version, a digital version and a summary of each article. The DRW has now reached the word Schulbuch. The website of the DRW contains an introduction in English and French to facilitate its use. For the DRW a great number of sources from Germany and elsewhere for example from the Netherlands, has been digitized on a separate website, where you can search in specific sources; you can check this overview with a list of the digitized titles. A list with externally digitized relevant sources counts some 1,300 titles. The DRW has a special text archive for full text searches. Thanks to scholars such as Grimm the scope of the DRW is not just the legal language of Germany, the former Holy Roman Empire. Grimm wanted it to cover all languages of the Western Germanic language family. Thus Old English, Anglo-Saxon, Old and Middle Dutch, Old Frisian and even Lombardic, and the several medieval phases of the German language are included. As with any dictionary created over a long time span the early parts of the DRW are not as rich as later volumes. The first volume appeared in 1914. The presence of digitized resources helps you to extend the examples adduced for early and later articles of the DRW. Let’s look for example at the cat (Katze) (DRW VII, col. 563-564). The cat figures gruesomely in a punishment dating from the Early Modern period in which someone was to be put into a sack with some living animals, among them a cat. The Katze was also the nickname of a punishment or a prison. The DRW links directly to other general German dictionaries, and indicated further textual sources, where you can even exclude certain word forms. Interestingly the ten additional textual examples from digitized sources for the cat stem all from Old Frisian law, mainly from the Westerlauwersches Recht, W.J. Buma (ed.) (Góttingen 1977). Here the cat is one of the animals which when they cause damages oblige their owner to pay only a part of the normal sum of money to be paid as a fine. The cat gave its name also to a number of following entries in the DRW which you might look up yourself. I owe you here information about the other animals figuring in the title of my post. The mouse (Maus) is only very rarely mentioned in a legal context (DRW IX, col. 380). In fact the evidence from a trial according to canon law Tirol around 1520 given by the DRW has already been printed by Evans (p. 259-260) in Appendix A of his study from a German almanac for 1843. As a Dutchman I can dream of a case of mice invading a room with Dutch cheese! Combining cats and dogs in the title of this post was seducing, but I could have guessed easily that a dog (Hund) would only for its literal sense take very much space in the DRW (VII, col. 53-61). However, the hunting dog (Jagdhund) has an entry for itself (DRW VI, col. 356-357), with additional entries for such subjects as the servant dealing with hunting dogs. I could not help smiling at the wonderful long compound German word for the very brief separate entry concerning the costs of the care for a hunting dog, Jagdhundverpflegungskosten. Even if you can detect limits to the range and quality of the Deutsches Rechtswörterbuch you should remember that most languages do not have any kind of legal-historical dictionary worthy of a comparison with the DRW. Many people in my country complain about the largest dictionary – nicknamed the Dikke Van Dale [The Fat Dictionary] – it does not explain everything like an encyclopedia. They would be baffled by the Woordenboek der Nederlandsche Taal (WNT) which looks very much like an encyclopedia of the Dutch language from 1500 to roughly 1925. Its sheer size makes it the largest existing dictionary of any language. You will forgive me this paragraph when I tell you on this website you can even find words from the Lex Salica using the combined search mode of the WNT with dictionaries for Old Dutch and Middle Dutch. 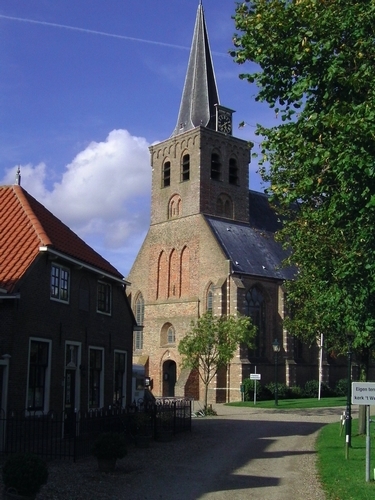 A dictionary of the Frisian language is also present on this website. Verily the DRW is not an encyclopedia, and also not a lexicon of juridical constructions and concepts, for which you can turn to the HRG. I would have liked to comment on the image with the chained apes, presumably a wooden sculpture somewhere in Germany, but I have not yet found more information about it. At the end of this post I would like to turn from history to the present, For a dictionary of current legal German you can consult online for example the Rechtswörterbuch, which brings you also to current German laws and legal study books. Animals in contemporary German law are the subject on the website of the foundation Tier im Recht. When I looked at this website with a poodle staring at you Germans will remember Goethe’s words in Faust about the heart of the matter, des Pudels Kern. In my opinion the various ways we looked and look at, dealt and deal with animals can say much about our attitude towards people, life and nature. The story of animals and animal law is not to be detached from human history, because it tells us about both the bright and darker sides of human life, our views of culture and society, its order and limits. This entry was posted in General and tagged Animals, Criminal law, Germany, Legal history, Legal iconography, Nature, Roman law on March 27, 2014 by rechtsgeschiedenis. A few weeks ago I read about the purchase in 2008 by China of a copper mine at Mount Toromocho in Peru for the sum of 3 billion dollars. It reminded me that I still have a story up my sleeve about another copper mine to illustrate the early history of companies with shareholders, and even better, the company in question still exists. When writing here in 2011 about the oldest share of the Dutch East India Company from 1606 I read also about companies founded much earlier. In this post I want to follow that track. However, this will lead also to questioning the idea and practice of searching for and claiming the earliest occurrence of legal constructions. My search for companies older than the Dutch example of a company which issued stocks in the early seventeenth century is in itself in no way new or original. In fact I am surprised how much space has been devoted to this search in the English Wikipedia, with inevitably a list of oldest companies. This list is marred by the fact that a number of companies can claim indeed a foundation at a very early date, but they did not start outright as stock companies, the definition to be explored here. It was during a search last year for a particular person that I encountered the website of the Hudson Bay Company, founded officially in 1670. The Hudson Bay Company is proud of its long history. The full name, Governor and Company of Adventurers of England trading into Hudson’s Bay, indicates clearly the role of stockholders. Its archives are since 1974 at Winnipeg, Manitoba. In 2007 the UNESCO admitted these archives to the Memory of the World Register. Another necessary distinction to be made is between temporary stock companies and more permanent ventures. In ancient and medieval history and law you will encounter examples of joint ventures which last for just one voyage of a ship. Temporary companies such as the English Guinea or African Company (1577-1580) were followed by the East India Company (1600), the Dutch Noordse Compagnie and the Companie van Verre predated the Verenigde Oost-Indische Compagnie (VOC), founded in 1602. The name of the VOC indicates that in it a number of earlier companies merged together. When I wrote in November 2011 about the oldest share of the VOC dating from 1606 I found comments on the website of Radio Netherlands Worldwide stating that Stora Kopparberg, a Swedish company, is the oldest existing stock company documented as early as 1288. The text of the June 16, 1288 charter can be found in the printed version of the Svenskt Diplomatarium, digitized at a website maintained at the Riksarkivet in Stockholm (SDHK, no. 1406). You can also use a modern transcription and a more extensive summary in the Svenskt Diplomatarium, all in Swedish. 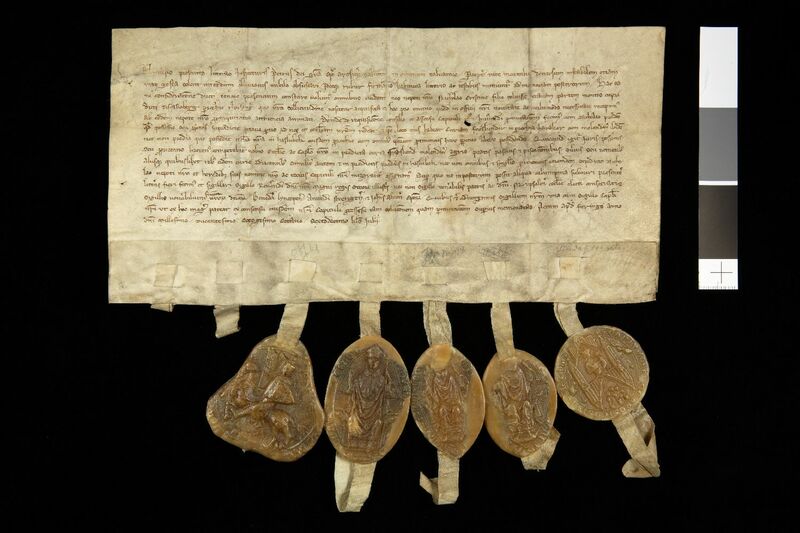 In this charter bishop Peter of Västerås acknowledges the sale of an eight part of the copper mountain called Tiskasjöberg, octauam partem montis cupri dicti Tiscasioberg, to his nephew Nils Christinaeson, who however commutes the sale for the possession of two parishes, Fröslunda and Hasselbäck. The sale was certainly important, because the charter was sealed also by king Magnus Ladulås and four other bishops. How the division of this property into eight parts came into existence is not clear, nor is there any mentioning here of the issue of shares. I feel sympathy for the anonymous comment on the RNW website that one can perhaps describe it better as a privately owned firm with external shareholders. In view of medieval canon law it is indeed the question whether you should see this property of the diocese Västerås as property of the chapter and bishop, a part perhaps of the mensa episcopalis. Were the king and the other bishops sealing themselves shareholders? Mining at the Stora Kopparberget, also known as the Falu Grava, had started already in the tenth century. A charter from 1347 records the granting of several rights to the miners by king Magnus IV (SHDK, no. 5394; February 17, 1347), and here it becomes clear the mine worked as a company. In the seventeenth and eighteenth centuries this copper mine was the largest source of copper worldwide. In 1862 the official name became Stora Kopparsberg Bergslags Aktie Bolga, a name indicating the issue of stocks. The delving of copper ended in 1992. The UNESCO added the site of the copper mine in 2001 to the World Heritage List. In 1998 Stora AB fused with the firm Enso into StoraEnso. Are there any other examples of early stock companies? The firm of Francesco di Marco Datini in fourteenth century Prato had certainly partners. The Fondo Datini at the Archivio di Stato in Prato is one of the largest medieval commercial archives still preserved. If I would have to answer at point blank for examples still existing medieval companies I am tempted to look at the so-called Livery Companies in London, late medieval craft and trade associations, but they did originally function as guilds and did not trade as companies. Helmut Coing’s Europäisches Privatrecht 1500-1800 I, Älteres Gemeines Recht (Munich 1985) 523-530, distinguishes between different kinds of trade companies: Personengesellschaften, partnerships with mining companies as a special subspecies, Kapitalgeschafften with for examples the Italian montes – excluding the montes pietatis -, privileged seafaring and colonial companies in England and the Low Countries, and more modern companies from the late seventeenth century onwards. In France the Société des Moulins du Bazacle was a milling company near Toulouse which was owned since the mid-thirteenth century by shareholders. The mills were driven by the water at the barrage de Bazacle, a dam in the Garonne river. Eventually the shares got traded on the market in Toulouse. The company existed until 1946. Companies are already mentioned in French law in the Livre de Jostice et de Plet around 1260 (Li livres de jostice et de plet, Louis-Nicolas Rapetti (ed.) (Paris, 1850) ch. 7.15, pp. 167-168; online for example in the Hathi Trust Digital Library). The webpages of the Hudson Bay Company Archives mention the Japanese keiretsu (business group) Sumitomo. It took over a copper mine founded in 1591 by Riemon Soga in Kyoto. In 1691 the firm started winning copper from the Besshi copper mine which closed only in 1973. Sumitomo Mining Company is the very heart of this business group, one of the world’s largest firms. It is interesting to note that both Stora Kopparberg and Sumitomo had copper mining as a basic activity. Let’s return briefly to the Wikipedia list of oldest companies. You might indeed object I was too dismissive of its qualities and rejected it too quickly as unuseful. Of course it is a nice list of early enterprises which have continued active until modern times, but not every enterprise took off at its start as a stock company. Here a few examples should suffice to illustrate this argument. The British Royal Mint was founded in 886, but king Alfred the Great did certainly not found a firm. Only in 2009 the Royal Mint became a company with limited liability, Royal Mint Ltd. The second example I know from my own experience in South Germany. The Bayerische Staatsbrauerei Weihenstephan reckons its foundation as a brewery back to a charter issued by the city of Freising in 1040 allowing the abbey of Weihenstephan brewing and serving beer, but surely at that time the brewery was not a separate corporate entity. By the way, the genuineness of the 1040 charter is disputed. Understandably I will not try to plod through a list of dates and firms to be checked, and produce yet another tedious list. Since already two mines figure in this post it is just an educated guess to look briefly at the Wieliczka salt mine near Cracow in Poland. This mine was already known in the Neolithicum (3500 BC). In the eleventh century the mine was nicknamed Magnum Sal. The oldest shaft still present dates from the thirteenth century. In the late thirteenth century the Cracow Mines Company was founded. The Wieliczka mine operated until 2007. This mine, too, has been added to the UNESCO’s World Heritage List. At the end of this post it might seem I have offered here a kind of tour of the Memory of the World Register and the World Heritage List, with only a very vague link to legal history. You might feel lucky I did not yet include a Dutch twist to this post, but the history of mining law brings me an opportunity to do just that. Mining law is indeed a separate branch of private law. In 1978 J. de Boer defended at the Vrije Universiteit Amsterdam his Ph.D. thesis on De winning van delfstoffen in het Romeinse recht, de middeleeuwse juridische literatuur en het Franse recht tot 1810 [The extraction of minerals in Roman law, the medieval legal literature and French law to 1810](Leiden, 1978). This thesis has a summary in English. Coing’s survey mentioned above brings you to other studies concerning mining law including works by Early Modern lawyers, for instance the Speculum iuris metallici, oder Berg-Rechts-Spiegel by Sebastian Span (Dresden, 1698; digitized at Heidelberg). In Dutch history mining took place in Limburg and also in the former Dutch East Indies. Using the catalogue of the Max-Planck-Institut für Europäische Rechtsgeschichte, Frankfurt am Main, you will quickly find more relevant and even earlier works on the history of mining law. In Norway mining law was already codified in 1540. When you combine the results obtained there with a search in the Karlsruher Virtueller Katalog for digitized books you will be able to look at a number of relevant works from your screen. The Metallicorum corpus iuris oder Bergk-Recht (Leipzig 1624) by Johann Deucer has been digitized at Dresden. Mining often belonged to the regalia, the royal rights. Eike von Repgow deals with this aspect of mining in the Sachsenspiegel (Landrecht I,35), written between 1220 and 1235, and the gloss by Johann vom Buch from the early fourteenth century expands on it (Glossen zum Sachsenspiegel-Landrecht: Buch’sche Glosse, Frank-Michael Kaufmann (ed.) (3 vol., Hannover, 2002; available online at dMGH, section Leges). The library at Frankfurt am Main is a treasure trove which you might indeed compare to a gold mine for legal historians! Here I have restricted myself to mentioning just a few titles and indicating some aspects. American readers might have expected me to deal with originalism as the major subject of this post, but in a way my post is already in itself a comment on any form of originalism. The Legal History Blog is very helpful in tracking the discussions on originalism. One of the major problems with the approach favored by originalists is the question to which origin you would like to point. Do you go back to the debates of the Founding Fathers about the American Constitution, do you look at the early Congress or at congressional debates concerning specific amendments, or do you dare to consider also debates concerning the constitution and statutes of the original states before 1776? As for the Founding Fathers, in the book by Philip Kurland and Ralph Lerner and in the web version of their study The Founders’ Constitution (5 vol., Chicago 1987; reprint Indianapolis 2001) you can look even beyond them to the sources and arguments they adduced or debated. In the wake of the controversies about the American Constitution and its present application many roads have been opened, some of them new and promising, some well trodden and somehow pale. The major flaw with the less interesting perspectives is the Whig interpretation of history, the tendency to use history and law as a handmaiden of the present, in fact only valuable because of the present, and thus sometimes called applied legal history. History and legal history can seem just fuel for debates and are reduced to ammunition for political views. At the very best history and the development of law are not totally neglected in Whig interpretations. In my country the ignorance about history of many members of the Dutch parliament is often shameful. Another problem in the present use and role of the American constitution is the tendency to avoid fundamental debate, and to press for solutions to political questions by the judiciary with as its main vehicle judicial review. A recent attempt in Dutch politics to let a court judge political matters was rightly rejected: the Dutch States General have to decide them, not the courts. Democracy and political debate can regain relevance when they become really relevant and decisive. As for the history of early companies, it is better not to reduce the history of company law to the sometimes fascinating stories of their foundation or a series of snapshots of all kinds of companies in history, but to look at many aspects of commerce and law in context in longer periods, and to attempt perspectives from all around the world. Legal historians can bring in questions of law to gain insights which historians and other scholars can only neglect at their peril. This entry was posted in General and tagged Commercial law, Cultural heritage, Economic history, Legal history, Medieval law, Nature, Scandinavia on July 13, 2012 by rechtsgeschiedenis. Water is a matter of life and death. For a country like the Netherlands with the ground level for more than fifty percent below sea level water control has got for centuries several additional dimensions. Water control can mean controlling the quality of water for drinking, irrigation and other purposes, it can also mean getting water out of a district to ensure a good water level for farming, it can mean protecting such districts against flooding by the sea and rivers. Major parts of the Netherlands lie within the estuaries of the Rhine, Meuse and Escaut (Schelde). To the best of my knowledge the Western Waters Digital Library (WWDL) is one of the largest cooperative digital libraries. Some twenty institutions from several states contribute to this project on the history of water control in the United States, mainly participants of the Greater Western Library Alliance. The WWDL presents a great variety of documents and images on many subjects, and also finding aids for collections. You will not only find information about irrigation projects, but also on the great dams and their impact on the quantity and quality of water, and in particular information from and about people involved with many projects concerning water. The peculiar legal nature of Dutch institutions for water control in the broadest sense of the word is their independent origin and – at least to a considerable extent – still independent status. 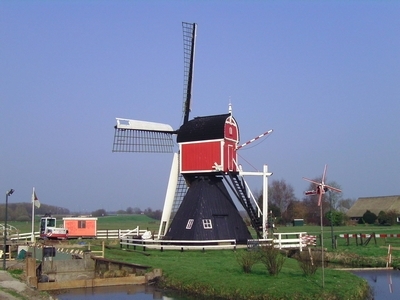 A Dutch waterschap or hoogheemraadschap is not a municipal, provincial or national institution. Some of the waterschappen occupied themselves only with a part of a region, but since a major reorganization in the nineties of the past century only a small number of large water control boards exist, six hoogheemraadschappen and some twenty waterschappen. The modern provinces Friesland and Limburg have now each only one waterschap. A waterschap had and has its own governing body, organizes its own elections for representatives and its board, collects itself special annual taxes, creates its own regulations (keuren), including penalties to be inflicted. In history some waterschappen could even threaten to impose the death penalty for major infractions against its bylaws, for example not complying to orders to repair dikes or not helping against the imminent threat of a flood. The history of waterschappen has not been neglected by Dutch legal historians. One of the great pioneers was Sijbrandus Johannes Fockema Andreae (1904-1968, grandchild of another legal historian with the same name (1844-1921), the latter mainly remembered for his useful overview of sources for Dutch legal history – the Overzicht van oud-nederlandsche rechtsbronnen, A.S. de Blécourt and A.M. van Tuyll van Serooskerken (eds.) (2nd ed., Haarlem 1923; reprint Alphen aan den Rijn 1981) – and his 1910 facsimile edition of the first edition from 1631 of Hugo Grotius‘ Inleidinge tot de Hollandsche rechts-geleerdheid. Fockema Andreae junior defended in 1934 a thesis on the history of the hoogheemraadschap of Rijnland, the region around Leiden. Some of the works of a slighty earlier scholar, Anton Albert Beekman, have a rather special form: his study Het dijk- en waterschapsrecht in Nederland vóór 1795 (2 vol., The Hague 1905-1907) is a glossary of old Dutch law, and he contributed also a similar volume to the Middelnederlandsch Woordenboek, the dictionary of Middle Dutch. Let’s mention in passing also his major contribution to the eight volumes of the Geschiedkundige Atlas van Nederland (The Hague 1915-1932), a historical atlas of the Netherlands for which he drew all maps. I could cite many more recent studies. Many touch not only water control but also the reclaiming of land in the fen regions of Holland, the creation of the archetypical Dutch polders. Landmark studies are Hendrik van der Linden’s De cope (Assen 1956; reprint Alphen aan den Rijn 1980) which focuses on the classic medieval reclaiming campaigns, J.L. 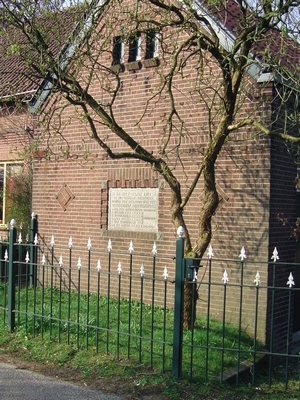 van der Gouw’s De ring van Putten (s.l. 1967) and perhaps Martina van Vliet, Het Hoogheemraadschap van de Lekdijk Bovendams (Assen 1961). Using the online bibliography for Dutch history you can easily search for more relevant titles. In the second part of this post I would like to focus on one institution. Leiden is situated on a minor branch of the Rijn, the Leidse Rijn. This river gives its name to the hoogheemraadschap Rijnland. Fockema Andreae worked for many years for this institution. On the website of Rijnland – and also on the website of Delfland – you can find instructive texts in English about the present day working of these water control boards. Rijnland has to deal with both inland water and the sea. By the way, these institutions do occupy themselves with water quality control, too, but drinking water in my country is generally provided by special companies. Some cities founded their own drinking water company. It is needless to say that conflicts of interest can develop between these companies and the water control boards, between farmers wanting a certain water level for their herds or crops and biologists preferring another level for rare plants and animals. 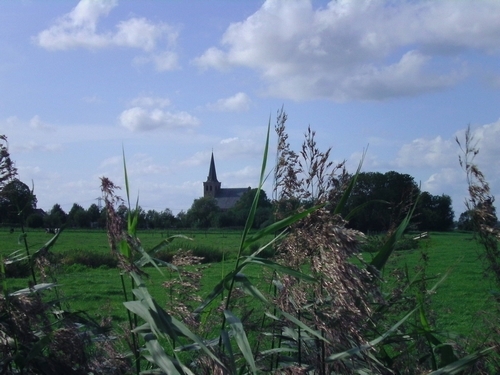 Rijnland has been often the subject of studies and source editions. The oldest surviving registers have been published for the Society for the Study of Old Dutch Law, De oudste bestuursregisters van het hoogheemraadschap van Rijnland (1444-1520). Regesten van de handelingen van dijkgraaf en hoogheemraden, J.H.M. Sloof (ed.) (Leiden 1999). A section of the Rijnland website is devoted to its heritage, with an image database in which you can find also old documents, artefacts, online finding aids and a treasure gallery. One can find further materials for the history of this heemraadschap at the Regionaal Archief Leiden. This archival centre, too, has an online searchable image database. You will find for example building construction drawings submitted to the hoogheemraadschap. Sometimes the struggle against water has been lost. In the Westerschelde the socalled Verdronken Land van Saeftinge, “The Lost Land of Saeftinge”, is a silent witness to the power of floods and the consequences of insufficient action to keep water out. It is one of history’s splendid ironies that the Hertogin Hedwigepolder from 1904, the last reclaimed land area in the Westerschelde, lies directly next to an area lost definitively after 1570. A sixteenth-century treatise on dike building, the Tractaet of dyckagie by Andries Vierlingh (circa 1507-1579), gives detailed information on the building and maintenance of dikes. Vierlingh sharply criticized those people who fail to fulfill their duties. The 1920 edition by J. de Hullu and A.G. Verhoeven has been digitized by the Instituut voor Nederlandse Geschiedenis, The Hague. The Dutch government has conceded in principle to the Belgian government to give the Hertogin Hedwigepolder back to the river in order to guarantee safe sailing for large modern vessels on the Westerschelde on their way from or to Antwerp. This decision has yet to be enforced, and protests against it in the province of Zeeland are vehement. Dutch readers can meet both very different landscapes in an intriguing chapter of a wonderful book by Kester Freriks, Verborgen wildernis. Ruige natuur & kaarten in Nederland (“Hidden wilderness. Rough nature and maps in the Netherlands”; Amsterdam 2010). Did you spot anywhere in this post the Dutch National Water Management Agency, Rijkswaterstaat? Did I mention the plans to add the waterschappen to the provinces? You can figure out yourself that when you add national and provincial institutions to my sketch of Dutch water control at a meso and micro level things are still complicated. In my opinion creating or having independent institutions for water control is not only a phenomenon for institutional historians but a subject worth of further investigation. This century will witness the growing importance of natural resources, will perhaps even see battles and wars for water, and you are invited to contemplate the example of a region with in this respect a special balance of powers. This entry was posted in Landscapes and tagged Legal history, Nature, Netherlands, United States of America, Water control on March 29, 2011 by rechtsgeschiedenis. One of the unforgettable scenes in The Bone People, Keri Hulme’s famous novel, brings the reader to the remains of a boat built by the Maori ancestors of Joe, which comes only to the surface after a minor earthquake. This week New Zealand has been forcefully hit by a major earthquake. People have been killed by it, many more people got injuries, houses and other buildings have become ruins or are severely damaged. How to rebuild lives and houses? How can one heal the wounds? What has become of all kind of things that form ties with the past, with New Zealand’s cultural heritage? On my website for legal history the page with digital libraries is on the brink of becoming a separate section. One of its shortcomings is its organization along national borders, for frontiers have changed over the centuries. Colonial history has often destroyed older borders and memories of them. Luckily some digital libraries are the fruit of international cooperation. Looking at my list today I can at least see quickly which collections are important for New Zealand. The libraries I list for New Zealand happen to be not just important for legal history but for the history and heritage of this country at large. Australia, too, will show up in this post because of the historical connections within the former British Empire. The Digital NZ – Á-Tihi Aotearoa of the National Library of New Zealand is a portal to digitized sources at several cultural institutions. Matapihi is a more general portal of New Zealand’s national library to find digitized materials. The New Zealand Electronic Text Centre at Victoria University of Wellington has among its projects for example He Pātaka Kupu Ture – The Legal Maori Archive, with sources on Maori legal history. Early New Zealand Books, a digital library of the University of Auckland Library, presents online a number of digitized early editions printed in New Zealand. Sources pertaining more strictly to legal history are present in the digital collection for Colonial Case Law of the Macquarie Law School in Sydney. In fact it is a portal to several sites on historical cases, with a very useful links collection, also for New Zealand. It mentons for instance the New Zealand’s Lost Cases at the Victoria University of Wellington. The Oceania Digital Library is an international digital portal created by the University of Auckland Library, the University of California at San Diego Libraries and the University of Hawai’i Library for the cultural heritage of Melanesia, Polynesia en Micronesia. One of the most remarkable initiatives for digital libraries I have seen is the New Zealand Digital Library at the University of Waikato. Behind this modest title you find in fact a portal to several digital libraries, not only for New Zealand but for other countries as well. The Greenstone digital library software is used in particular for a number of development initiatives and humanitarian services worldwide. Among the so-called “user contributed collections” is the website “Alive in Truth: The New Orleans Disaster Oral History and Memory Project” concerning the hurricane Katrina that hit New Orleans in 2005. At first it might seem wry to find among the projects also the Virtual Disaster Library of the Pan-American Health Organization and the WHO Health Library for Disasters. However, it shows also the outward bound mentality of New Zealand, and these efforts to help worldwide deserve respect and support. I could mention many more links. The website of the Christchurch City Libraries has a well-organized links section, with a special page for links on earthquakes. Christchurch City Libraries also present a very useful set of legal links. You can follow their tweets for the latest news from Christchurch. For modern law cases the New Zealand Legal Information Institute is the first site to visit; the databases with cases on intellectual property go back to the late fifties and sixties. The Victoria University of Wellington houses an exhaustive website on Indigenous Peoples and the Law which reminds you that continents and subcontinents have a very distinct history before modern nations came into existence. The University of Canterbury in Christchurch gives on its library website an extensive guide to online resources for modern law in New Zealand. To round off for today, let us not forget the legal historians of Australia and New Zealand, united in one society. New Zealanders and Australians try to bridge gaps between a continent and an archipelago. Perhaps we can do something for them, starting with showing our sympathy with the people of Christchurch. This entry was posted in Digital editions, Landscapes, Peoples and tagged Australia, Cultural heritage, Digital libraries, Legal history, Nature, New Zealand on February 25, 2011 by rechtsgeschiedenis.